Bunions are fairly easy to identify. If you have a knobby protrusion at the base of your big or pinky toe, it’s likely a bunion. Your doctor, a podiatrist, or a physical therapist can verify your hunch during an exam. He or she may want to take an X-ray to determine its severity. You may also be alerted to the formation of a bunion if the protrusion starts rubbing against shoes causing discomfort and pain. Bunions can be particularly painful for runners, both because running in the wrong shoes can exacerbate them, but also because they can lead to other foot problems. If you start to unconsciously shift your weight off the painful big toe as you run, you may develop discomfort in the ball of your foot. 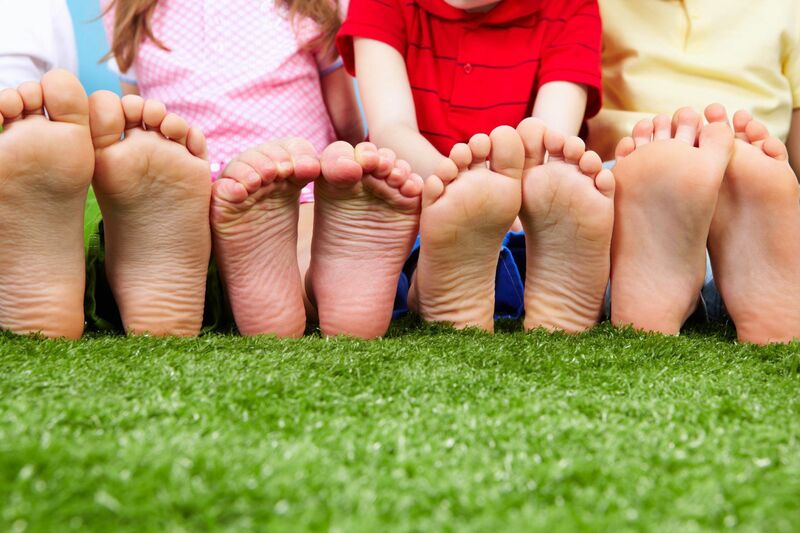 The big toe can dive over or under the other toes, causing corns or hammertoes to develop. There may be a hereditary element to bunions, and having low arches, flat feet, or loose joints can increase your risk of developing them. In some cases, arthritis is to blame. Lack of strength in the muscles of the foot and wearing narrow, pointed-toe footwear are also causes. This is thought to be one of the reasons women tend to get bunions more than men—they’re more likely to wear tight, high-heeled shoes. But even ill-fitting running shoes can be to blame, says Ray McClanahan, D.P.M., podiatrist at Northwest Foot & Ankle in Portland, Oregon. Though you probably wouldn’t classify your running shoes as high heels, take a closer look. Most running shoes have a 2:1 heel-to-forefoot ratio. But what that does over time is shorten your Achilles tendon, which in turn weakens and flattens your arch. This—coupled with a tapering toe box that squashes your big toe into the space that should be occupied by the second toe—can create… you guessed it: a bunion. Treatment for bunions starts with changing your shoes. High heels are definitely a no-no, as they tip the body’s weight forward, forcing your toes into the front of the shoes. Applying ice to your bunion and/or using acetaminophen, ibuprofen, or even cortisone injections can help control the pain in the short term. Using moleskin, gel-filled pads, or shoe inserts for arch support may also help.